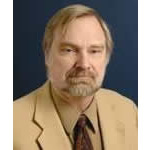 Professor William Kratzke is a Cecil C. Humphreys Professor of Law at the University of Memphis. He received his B.A. in Political Science and the Far Eastern & Russian Institute from the University of Washington in 1971. This naturally caused him to be interested in attending law school. He received his J.D. from Valparaiso University in 1974 and was a member of the Valparaiso University Law Review’s editorial board. He received his LL.M. from Georgetown University in 1977. Professor William Kratzke teaches tax law courses at the University of Memphis. He has been a faculty member there since 1979. He has taught courses across the curriculum. In addition to tax courses, he has taught trademarks, torts, civil procedure, world trade law, economic analysis, and other courses. He visited Santa Clara University and the University of Mississippi. He received Fulbright Teaching Awards in 1997 (Moldova) and 2001-2002 (Russia). Professor Kratzke has written in the areas of tax law, trademark law, tort law, and antitrust law.